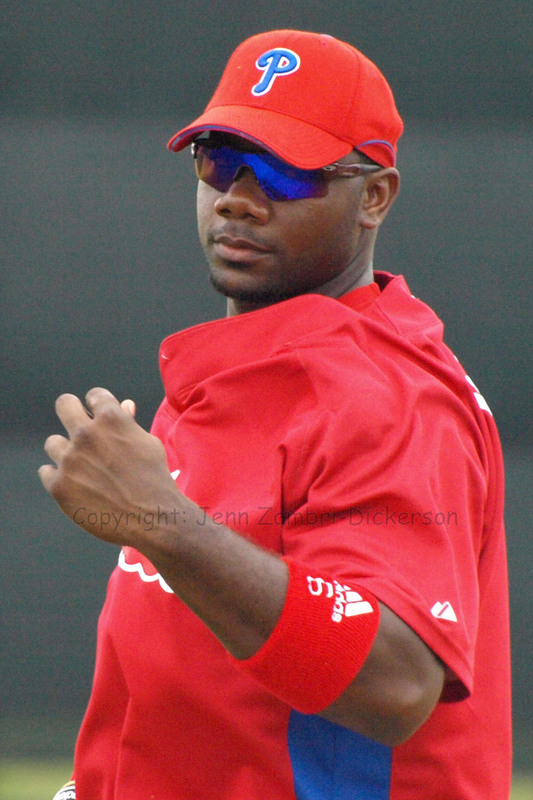 With a plethora of outfielders now in the Phillies system after a few signings, Ben Francisco has been traded Toronto for Minor League relief pitcher Frank Gailey. Gailey, 26, is from Philly and has a record of 23-15 with a 2.45 ERA in 175 appearances in the minors. Francisco had a promising spring training before the 2011 season, but his hot streak ran cold quickly. While Francisco was not consistent as a starter, the bench role did seem to suit him well. He hit .269 with 4 RBI in 2011 and .289 with 7 RBI in 2010 as a pinch hitter. But John Mayberry Jr. clearly outplayed him this past season. And with the new additions of Scott Podsednik and Laynce Nix plus Domonic Brown on the roster, the outfield is full. 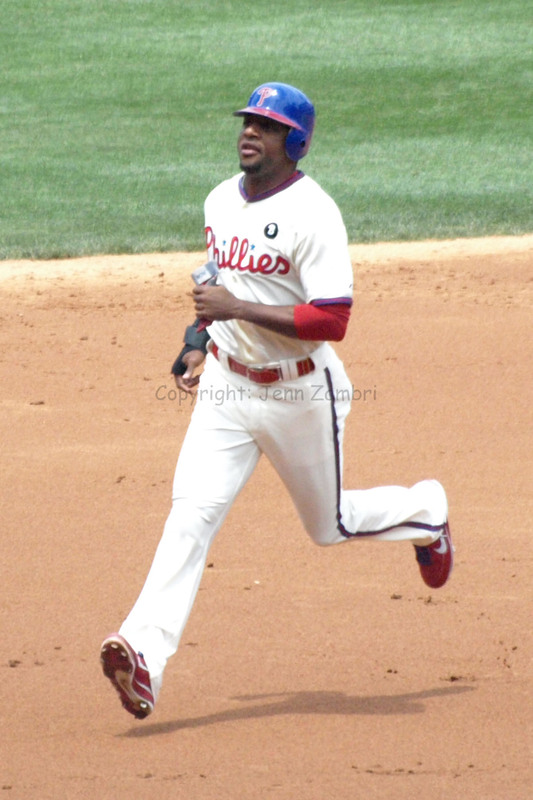 However, the Phillies seem to have some concerns about Brown’s future and they seem intent on giving him more time in the minors before they bring him up again. 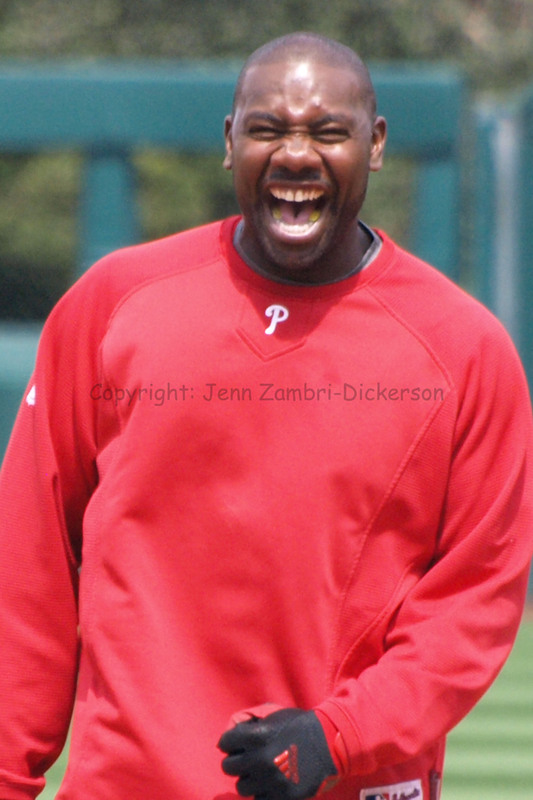 Brown should be major league ready by now, but the Phils do not seem convinced. 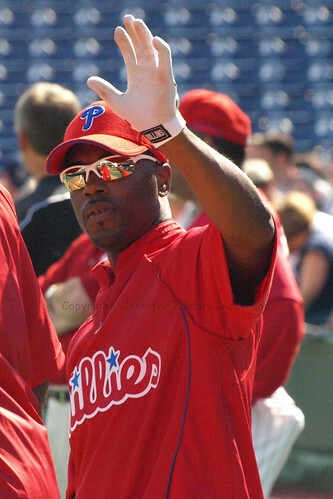 In other news, Jimmy Rollins is still in limbo, although rumors are flying that a deal is imminent. J-Roll has not gotten much interest from other teams so resigning him at a descent price may be getting a little easier. Braun was named the NL MVP this year. So this may be the worst timing ever, although many people think the test was an error or some weird medical condition. Whatever the case, we will not have a real answer anytime soon as Braun is appealing the ruling which, if he loses, will end in a 50-game suspension. The final out of the Phillies 2010 season will linger in the minds of many fans throughout the off-season. 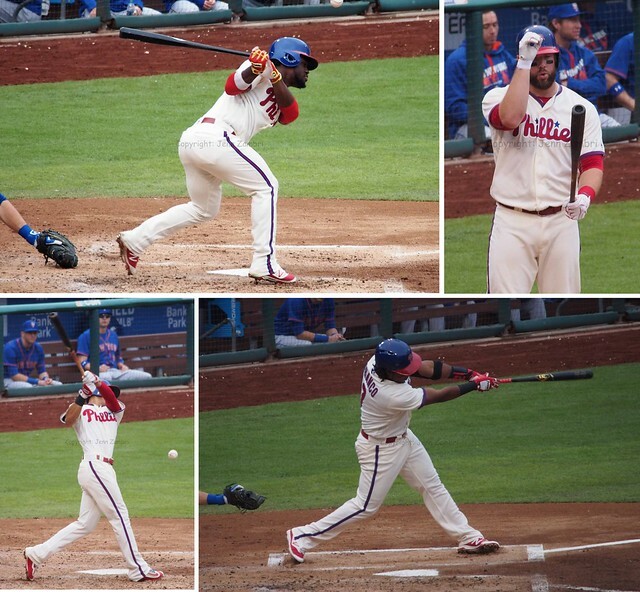 In Game 6 of the NLCS on a pitch that was borderline, Ryan Howard stood and watched as strike three was called, officially ending the Phillies year. Whether it was a ball or a strike does not matter; it was close enough that Howard probably should have swung to protect the plate and at least try to foul it off to stay alive. But that is how the season went for this team – they were so close to breaking out and just never got it done. Injuries plagued the team all year, including Howard who missed 16 games with a sprained ankle. So while Howard’s numbers were down significantly from 2009, how much better could he have produced if he played those 16 games? From the data, it appears that Howard had a similar season to 2009, although his power numbers are clearly declining. Even with the adjustment, on average, Howard would still be hitting 10 fewer home runs and have 20 fewer RBI’s than in 2009. Back in 2007, the year of the MVP award, Howard hit 47 homers in only 529 at-bats. In 2008, it was 48 homers in 610 at-bats. So the years 2007 – 2010 show a steady and consistent decline in power. It is also worth noting that with the power outage, Howard’s batting average has not improved. Howard has been getting more singles and fewer extra-base hits. So while the average remains steady, they are not paying him around $25 million dollars a year to hit singles. The high strikeout count for Howard has also been an issue since he arrived. He had 157 this year, an improvement over 186 in 2009. But if you average in 12% more at-bats, that number rises to 176, only 10 fewer than 2009. So he is striking out at about the same rate but seeing less production in extra base hits, homers, runs scored, walks and RBI’s. One positive may be that Howard’s defense has improved, something he has worked very hard at. While he had the same number of errors this year and last with 14, sometimes the numbers do not accurately reflect the overall performance. Howard was able to get to balls this year that he may not have last year and seemed to put more effort into diving for balls that he may have given up on before. All this amounts to is that Howard had a disappointing season and did not come through in clutch situations during the playoffs. In fact, the same can be said for most of the team; many had down years. That makes the age of the Phillies’ key players a bit more concerning overall. But Howard, 31, should be in his prime, which is why his steady decline in power is alarming. His numbers are not bad by any means; I just think the Phillies expected more from him when they gave him a huge extension. Howard is signed through 2016 with an option and $10 million dollar buyout for 2017. The Phillies will have Howard for at least 6 more years so, they had better hope he comes out of the gate swinging next year. I will be examining other Phillies players as well throughout the next few weeks while we await word on free agency and other off-season moves. 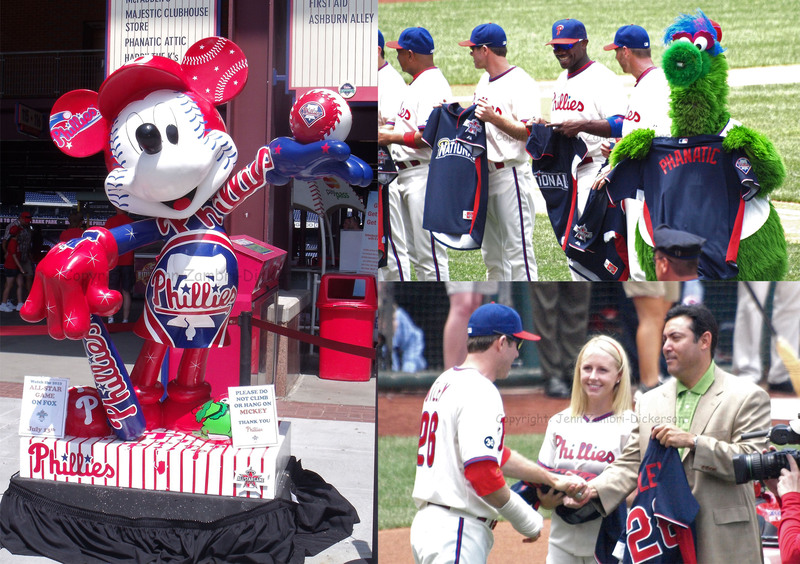 The World Series begins tonight (without the Phils….*SIGH*). Who are you rooting for and what are your predications? Please let me know in the comment section below. My crystal ball says Rangers in 6. The MVP will be Cliff Lee. The Phillies beat the Reds today to complete a 4-game sweep and head into the All-Star break. And for the first time this week, they did not need extra innings or a walk-off hit to beat them. And although the 1-0 victory was a very tight game, it felt more like the Phillies were in the driver’s seat the whole game. Most of that had to do with the performance, and confidence, of pitcher Cole Hamels. He finally looked like the 2008 World Series MVP again. 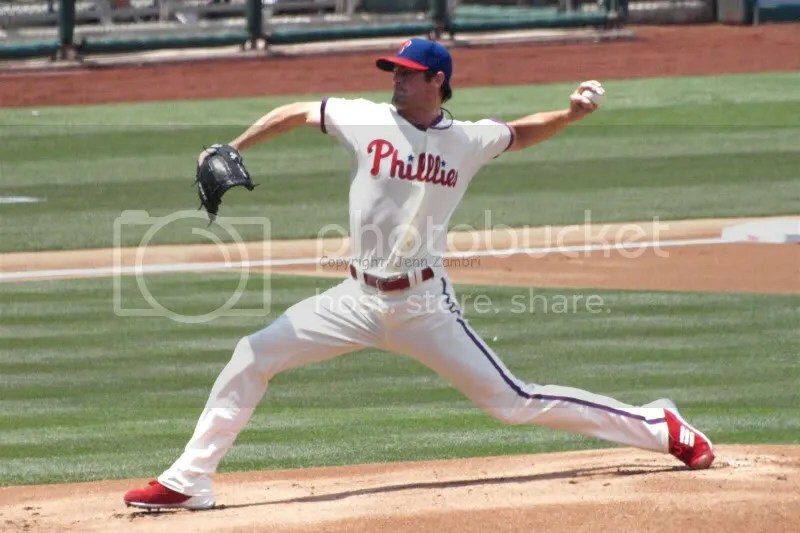 Not only was Hamels making his pitches, but he looked determined on the mound. More importantly, he was never rattled by bad calls or bad plays; and there were plenty of those to go around. Not so well done was the following: TWO fan interference calls which necessitated TWO booth reviews on balls that looked like home runs. Ruiz hit the first one, but on replay it was a double and the fan really did not affect it too much. The next one was a hit by Jayson Werth where the fan reached over the wall and snagged the ball. While it also was not a homer, had the ball been left alone, it would have bounced off the wall. Centerfielder Drew Stubbs was jumping up for the ball, which then would have bounced far away from him, possibly enabling Werth to go to third base or even score an inside-the-park homer. But because of the fan, it was a ground rule double and we will never know what could have been. Ok people, I am officially putting Stupid Fans ON NOTICE. 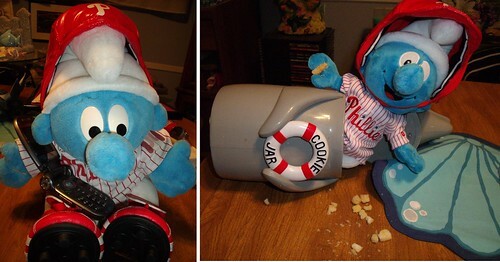 Not all Phils fans; just the STUPID ones (you know who you are). One day soon, if this trend continues, like the fan who took a pop-up away from Werth on Thursday, a fan is going to cost this team a game. Mark my words: it will happen. Today it did not; Thursday it did not; but it is coming. If you are lucky enough to have a seat in the front row of a section and simple cannot or will not pay full attention to the game and its rules, give your seat to someone who will. And no, I do not condone Werth’s language during the incident on Thursday. It did make me sad for that poor kid. But he did have a point. If you are a fan of the game, act like one. PAY ATTENTION. Thank you. The Phillies offense had only 4 hits and 1 run as both pitchers were doing well. 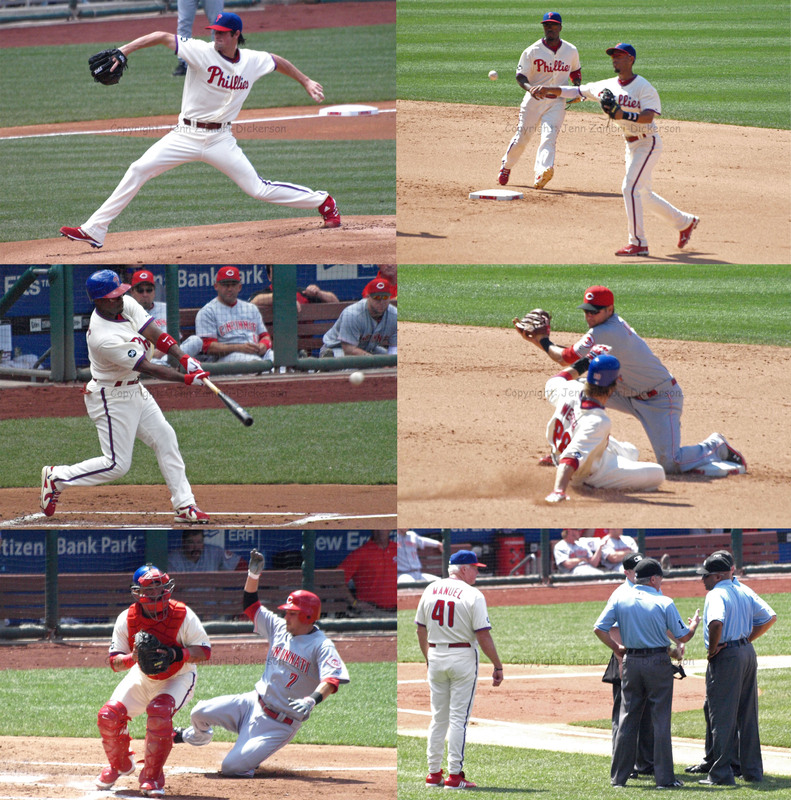 Jimmy Rollins had 2 of the 4 hits plus the lone RBI; the other two hits were the fan-interference doubles. Hamels wound up pitching 7 2/3 innings without allowing a run. Jose Contreras ended the 8th and JC Romero got the first out of the 9th. Romero looked like he was on fire as he mowed down his one hitter. So when Charlie Manuel came out of the dugout to bring in Brad Lidge for the save, most of the crowd began hollering and boo’ing. Not only did Romero look great, but Lidge has been anything but great this year. With only 5 save in 8 attempts, Lidge makes people nervous. But Manuel is determined Lidge will get better and today, he did. Two quick outs and the save was intact, plus a win for Hamels. Whew! 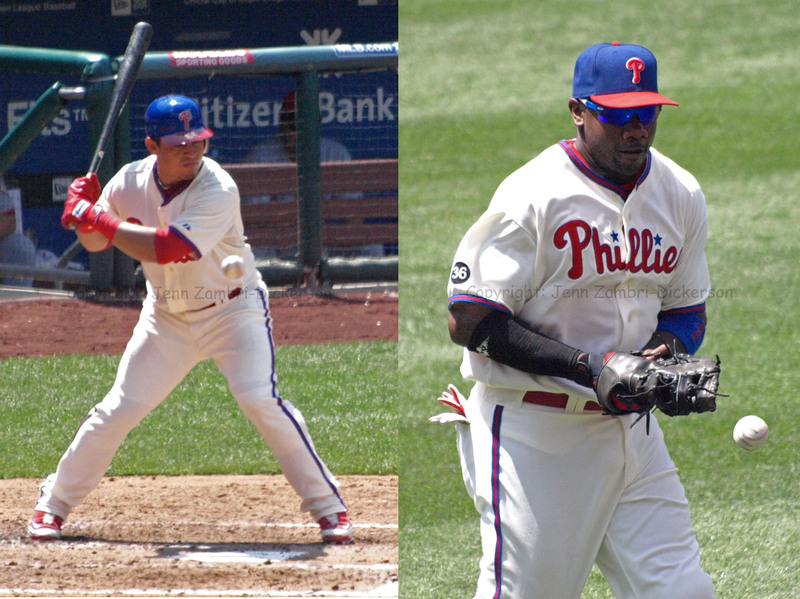 Closing out the first half of 2010 with a 4-game sweep was a much needed boost to this Phillies team that has struggled most of the year with injuries, slumps and sloppy play. This series could be the engine that propels them into a great second half. 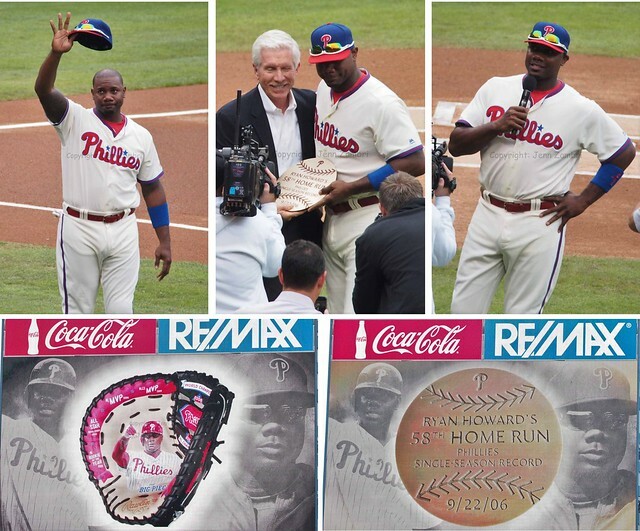 Phillies fans were taken by surprise this afternoon as it was announced that Ryan Howard will be with the Phillies through at least 2016 with a contract worth about $125 million dollars. Howard was already on-board through 2011 and here is how the remaining years will pay out: $20 million a year for 2012-2013; $25 million a year for 2014-2016 plus an option for 2017 worth $23 million and a $10 million dollar buyout. There is a limited no-trade clause attached as well, plus award bonuses. Needless to say, Howard will be laughing all the way to the bank. Not he isn’t worth the money; Howard leads all major league players in home runs with 222 and RBI’s with 650 since 2005. He also has a National League MVP award under his belt and was named the NL Rookie of the Year in 2005. What is surprising about the deal is both the timing and Howard’s willingness to commit. It is the end of April and the Phillies are in the middle of a West Coast road trip; so, the timing is weird. Plus, it was almost assumed by most experts that Howard would want to test free-agency, in search of a bigger paycheck. And while the paycheck here is plenty large, it is still nice to see that Howard wants to stay in Philly. The only possible drawback I see is this: Remember all these years past when the Phillies used Pat Burrell’s large salary and long contract as the excuse for not resigning key players or not going out and getting players to improve the team? Oh yeah, that. While GM Ruben Amaro Jr. is set on winning, let us all hope that the financial commitment does not translate into a boat-load of excuses later.